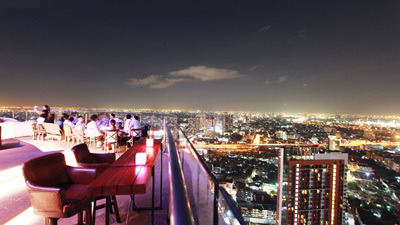 Sky Walk is a 50 storeyhighrise, you can perfectly enjoy the amazing and fantastic night view at Sky Bar. Here you can see the mostbeautiful part of Bangkok. As a landmark, Sky Walk is showing the world a convenient life style, you can get anything you want at your fingertips.We created W-District to satisfy your daily needs, including a 4 level community mall, a fashionable U-shaped walking street anda relaxing W Market. When you stay in Sky Walk, you can reach Gateway Ekkamai within 5 minutes, EM District and K Villagewithin 10 minutes, Emporium and EmQuartier within 15 minutes. Here, you are located in the shopping paradise. 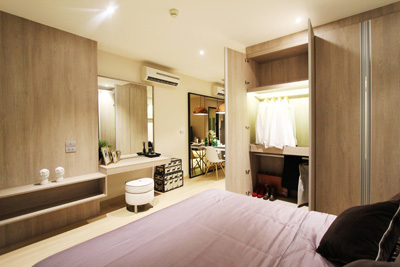 If you are golf and jogging fanatic, SKY walk will be your best choice, located just right across theproject you can find 42 Tee-Off Driving Range, through the BTS you can reach Benjasiri Park orBenjakiti Park within 8 minutes. 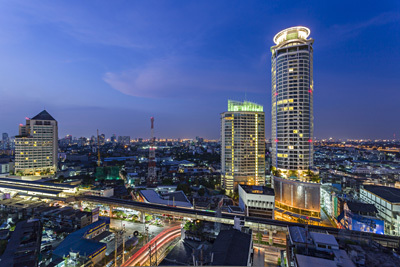 Sky Walk is located near Asoke, which is one of the three CBD of Bangkok. 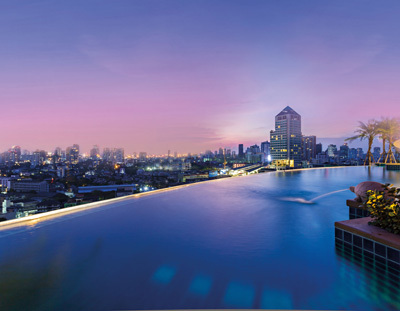 Luxurious 5 stars hotel surround this area,Sofitel, Hilton, Marriott, Grand Center Point. 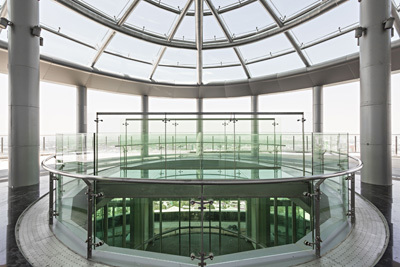 With the well developed transportation network, this makes SkyWalk a very attractive place for business. The Medical care system in Thailand is well known in the world. Sky Walk enables you to reach KluaynamthaiHospital and Sukhumvit Hospital within 5 minutes, to enjoy the world-class medical care. way within 3 minutes, no matter what means you use, transportation will be easy for you. 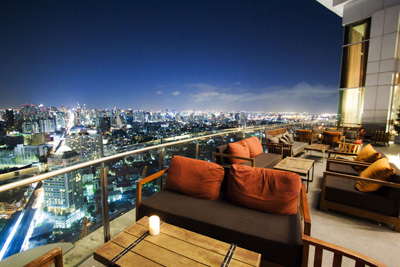 The luxurious Sky bar and facilities which are normally found in 5 star hotels can now beexperienced here with the amazing view at the bar, it makes you feel like you are on the top of the world. 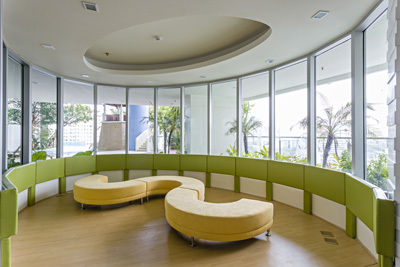 To build the lobby more stylish, we are diligent when choosing our materials. The lobby is decorated by a lot of natural stone,making an elegant atmosphere, and with the mix and match of black and white colour, it creates a sharp impression.